Hi guys, Today I’m going to show you how to remove the license verification from apps and games Using Lucky Patcher App. license verification can be found in all paid applications to see if you actually purchase the app / game or downloaded from another location. Well, today, we will remove this license verification and use paid apps for free, or most of them. 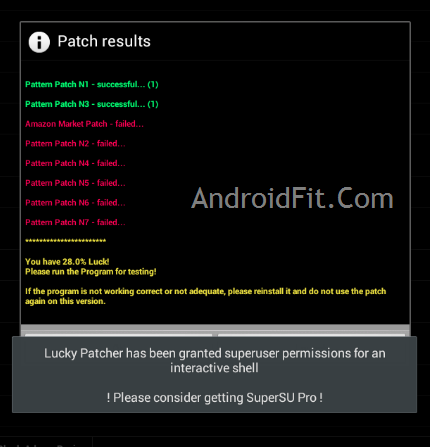 See also: How to use lucky patcher and Hack In-App Purchases without rooting ? For this tutorial, we’ll use Aftermath XHD, which is a paid game available on Google Play store, as a demo. As you can see the featured picture in above. Now open Open lucky patcher and grant root access if needed. When it opens it shows the list of all the apps with Google Ads, License Verification, and some more. Select ‘open menu of patches'(long click on the app will directly open this). You’re done! Now launch the app you patched, and it will work just fine! Note: If still fails, install Modded Google play store. The only way to get rid of it. See also: Hack Google play store in-app purchases with Freedom App. This process can patch many applications, including famous like SPB Shell 3D! And the game above is a paid games in Google store too. Have fun and try to patch the applications you want! I have non rooted device, Will this app work in it?